I had the pleasure of being a keynote speaker at WordCamp Phoenix this winter. I used the opportunity to share some hard-earned insights and lessons-learned from my 10 years as CEO of Pagely. The video is embedded below. In this post I’ll unpack a couple of the concepts and ideas from my talk. These are things every business leader, at every level of the company, should be aware of. They impact our perceptions and decision-making processes, even when we think we’re being objective and logical. One of the topics I explored was Bias. 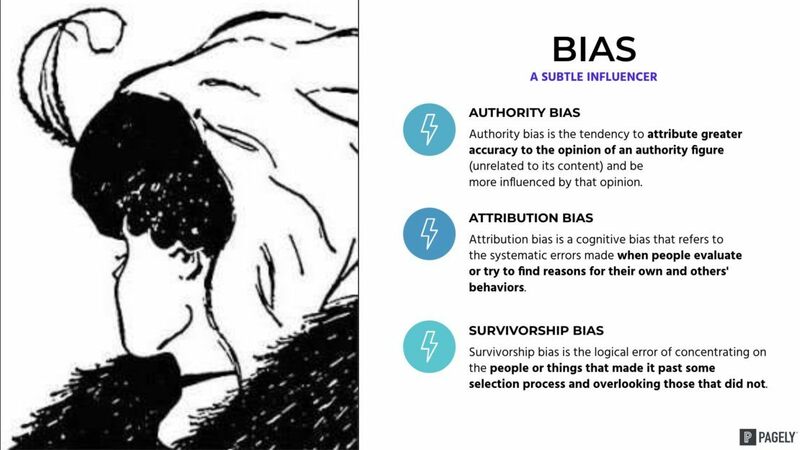 Specifically how Authority, Attribution, and Survivorship bias may influence our experience working in business and participating in communities. I wove these topics into the presentation (though, I’m not sure how effectively). We tend to explicitly trust conference speakers, or anyone in some capacity of leadership or authority. We assume what they say is genuine and true, and we may not critically question their agenda. This is authority bias. Most thinking people have a pretty well-tuned BS detector when it comes to politicians and the media, but they may let their guard down in other areas. To illustrate this I used myself as the first example. I shared my thoughts on the market positioning of various players in the WordPress hosting space, and then acknowledged that those competitors may not see it the same way. Since I was on stage as an authority figure at that moment, the audience may have been influenced by my message. I closed this section by asking the audience where we may be failing to question the veracity of affiliate-driven hosting reviews and the decisions around the feature roadmap and future of the WordPress platform. Unchecked authority bias inside of organizations can lead to bad decision making and groupthink. Inside of Pagely, I expect our teams to ask the why questions of me and their team leads. Asking why a decision was made, or why it was made a certain way, is important for short-circuiting groupthink and averting wasted time and resources on pet projects or ideas. The downside of asking the why questions of someone and attempting to gain clarity on their agenda is that it is a great opportunity for attribution bias to creep in from the person being questioned. As human beings, it’s easy to wrongly attribute an aggressive or negative intention to the person asking the question. It’s also easy to fall into a defensive position and ignore the validity of questions we don’t like or, even worse, insult the character of the person asking. To illustrate this to the audience I asked some uncomfortable questions about the future of WordPress and whether its popularity has peaked and it may be declining. To support my questions, I cited some quotes from dissatisfied community members. Acknowledging that in that moment the audience may be considering the audacity of a speaker at their community event questioning the direction of that same community, I stated my intentions were good and asked the audience to consider how not asking these questions may impact their current and future livelihood. Sometimes it’s easier to just go along with what seems like a good thing, and not even consider the possibility of things taking a turn for the worse. I catch myself often saying something like “I did it, it’s not that hard” and every time I do that I am demonstrating my own survivorship bias. There were so many points in time where it could have gone bad, or worse, for Pagely. So many times when things could have not worked out. In those alternate timelines our company may have died early. Sometimes we don’t consider all the near misses we survived and take a meaningful lesson away from the experience — but usually we do. Survivorship bias may also play a roll in your company in that dreaded “that’s the way we have always done it,” meme everyone groans about. Be careful not to let a bad or outdated process continue just because it survived up to this point (which may be long past its usefulness). I touched on this point by sharing with the audience a bone-headed mistake I recently made. Ultimately we survived the mistake, of course, and I encouraged the audience to go out there and break stuff (an analogy for making mistakes while learning). I told them it won’t be fatal to them or their business. This is my own survivorship bias on full display. 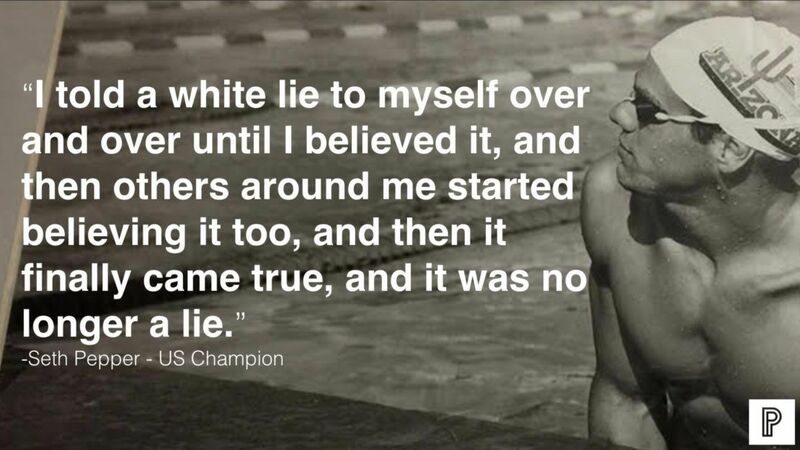 “Fake it ’til you make it” is an overused reframe commonly thrown around. I feel that phrase is disingenuous. You cannot fake the consequences of failure. They’re very real. However, to be an entrepreneur you have to be a bit self-delusional. Somehow you have to find the hope and conviction that things are going to work out okay. Finding that conviction can be very hard when faced with the long odds of success and the inevitable landmines along your journey. So, it helps to be your own best cheerleader, and find something to cheer about, even when there’s nothing worth cheering about. This can sometime lead to what the interwebs refers to as #hustleporn, or the celebration (and validation) of the 80-hour-a-week grind of the perpetual startup ‘bro’. Don’t be that person, but do celebrate your successes. Sometimes that success may just be mustering the energy to keep going. In a follow up post I’ll explore some of the other topics I covered in the presentation, like market positioning and blue oceans. Stay tuned for that, and in the meantime please watch the video below. I’d love to hear what you think. I believe you are a voice that the community needs. There is a lot of groupthink. The questions you raise are very valid, at this critical time in the project’s lifespan. Pagely Hires Former StumbleUpon Director of Engineering Joshua Eichorn as CTO.